It's a little crazy at my house now because I'm trying to get ready for the upcoming Fall Quilt Market – and Jeff is coming home for a long weekend! Sewing will be pushed back for a few days while we enjoy having him here. I did want to take a moment to show you the skirts I'm in the process of making from our new fabric to wear at Market. All of the skirts have invisible zippers and it's been a while since I put one in. Kay Whitt at Sew Serendipity has a zipper tutorial on her website that is very helpful. I know it helped me. 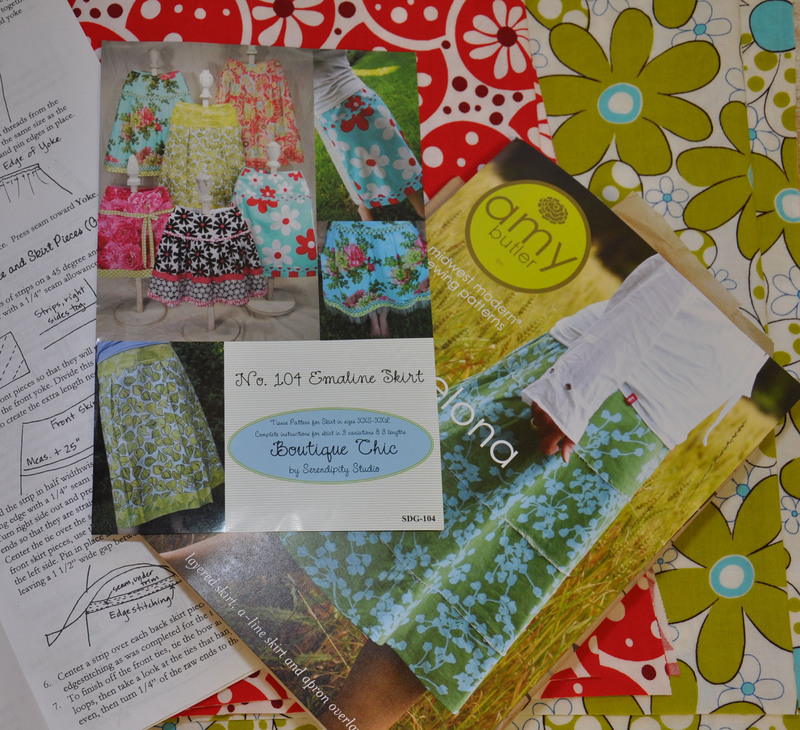 We'll post more on the skirts and patterns when the fabric comes out. Good luck with your skirt! Have just received a Frosted Donut in the mail and was very excited. It was recommended by a friend who attended your Sydney workshop. After reading your last blog about alternate uses for the bobbin saver I am even more excited! I recently made a “Cute Skirt”! Really, that was the name of the pattern by Favorite Things (or along those lines). No zipper! 8 gores, plain front, elastic in the back… I added a pocket.